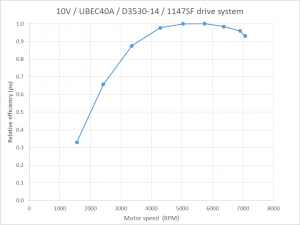 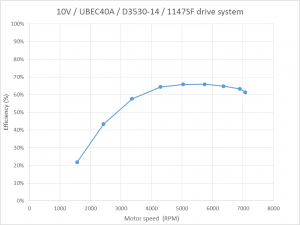 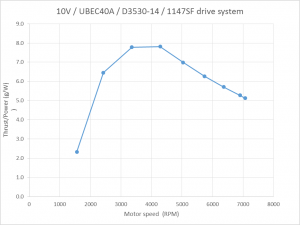 Keep in mind that the application for this drive is a multirotor, and hover speed is around 3800RPM, so efficiency in that region is critical to battery endurance. 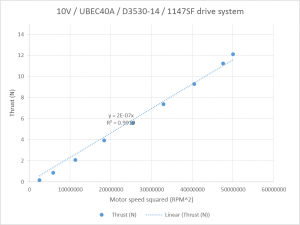 A first approximation of thrust is that it is proportional to RPM squared. 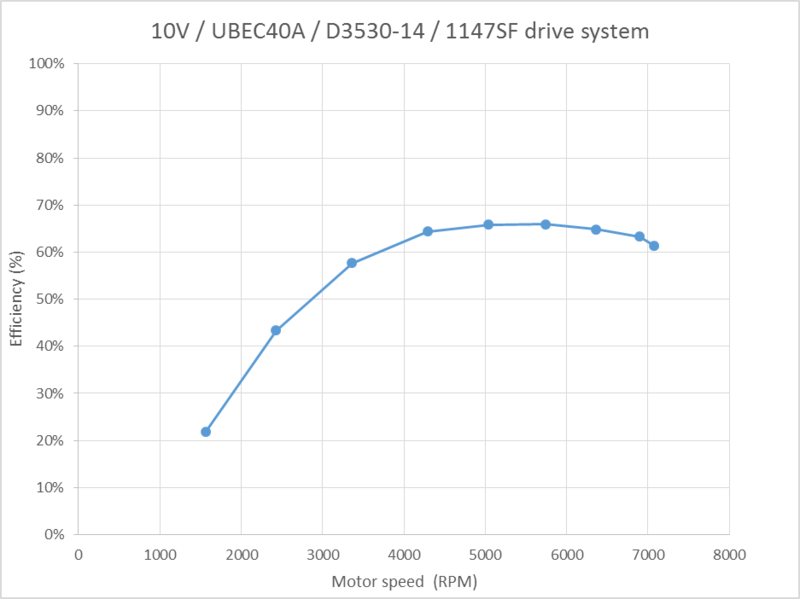 Above is the measured data and a linear regression. 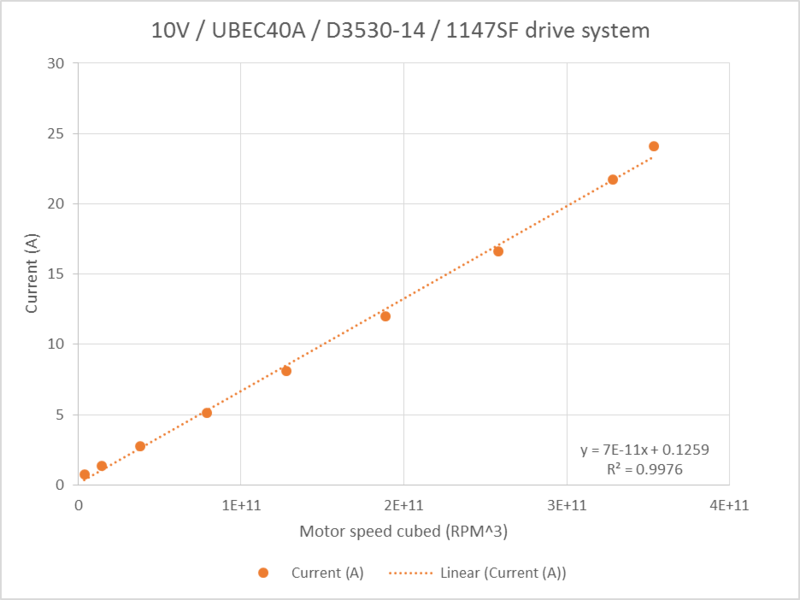 The measured data is a fairly good fit to a straight line passing through the origin (ie linear with zero intercept). 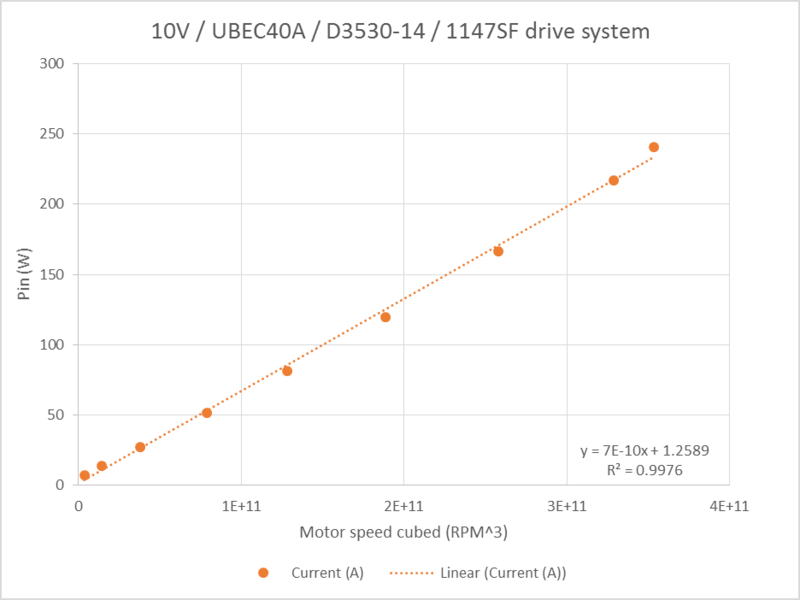 A first approximation of input power is that it is proportional to RPM cubed. Since the drive is powered from a constant voltage source for these tests, it is also the case that a first approximation of input current is that it is proportional to RPM cubed. 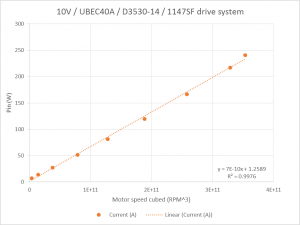 A first approximation of output power of a propeller is that it is proportional to RPM cubed. 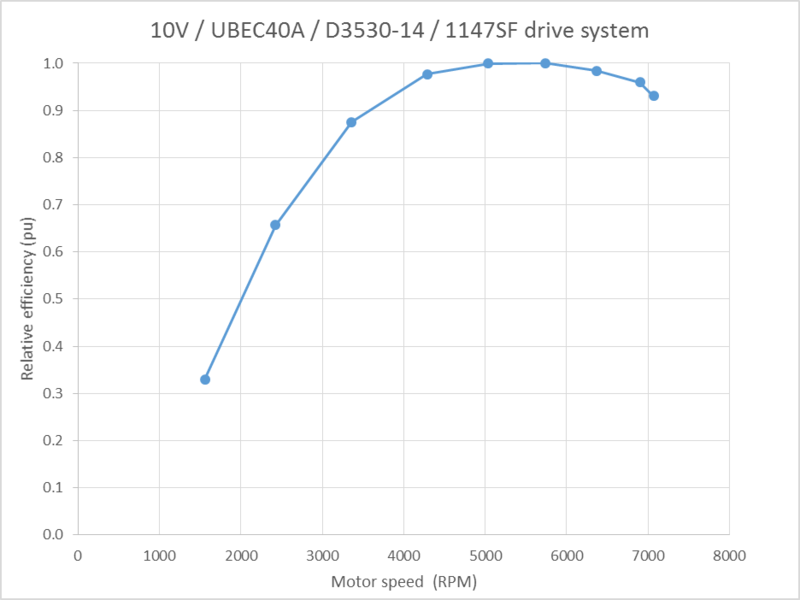 Above is the calculated relative efficiency based on measured RPM,thrust and assuming a cubic relationship between speed and power. 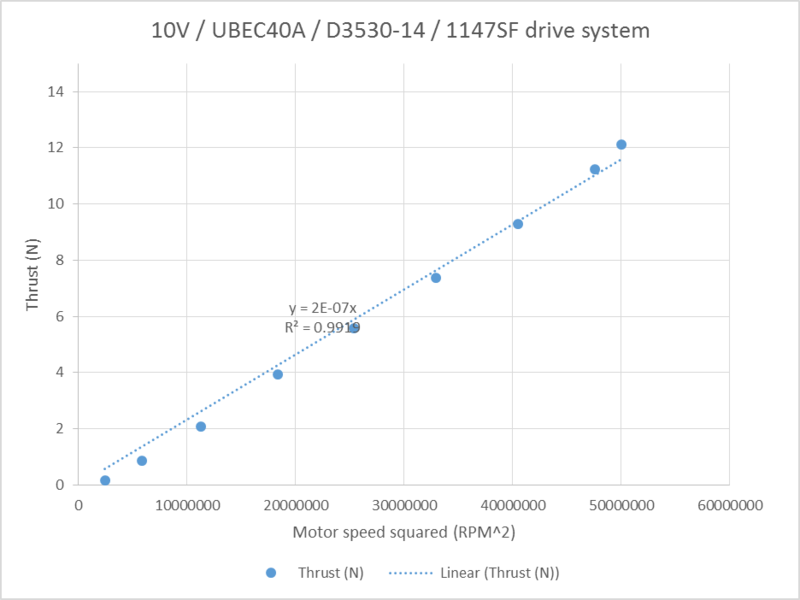 Above is the drive efficiency calibrated to the propeller characteristic in DriveCalculatorv3.4. 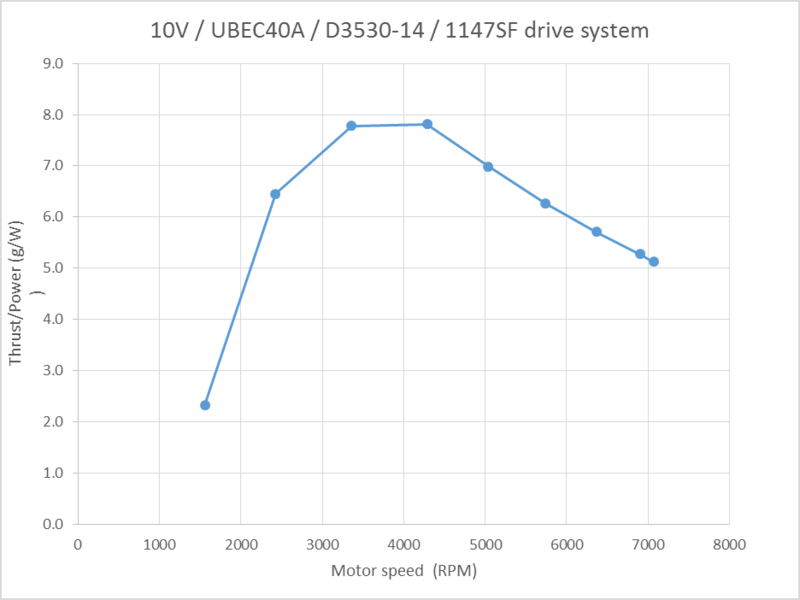 A figure sometimes used to express performance of a drive is the ratio of thrust to input power expressed in g/W. 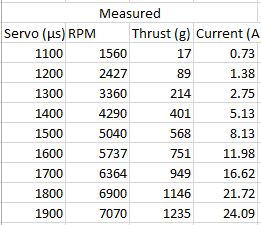 Above is the thrust factor calculated from the measurements.